Together with Athleta, we're compiling actionable wellness advice you need from the experts—and Well+Good is bringing it to life all year long at events in NYC. Here, Chillhouse founder Cyndi Ramirez-Fulton divulges her four-step plan to help you get acquainted with self care. If you've been paying attention to the wellness scene in 2019, there's one phrase you've seen pop up everywhere: self care. So what exactly is it? Face masks? Massages? Bubble baths? According to Cyndi Ramirez-Fulton, founder of New York City's Chillhouse spa and wellness cafe, it can be all of those things—or none of them. "Self care is not a one size fits all," says Ramirez-Fulton. "It mostly should just serve as a reminder that we are the priority." So one person's face mask might be another's morning walk. The important thing to focus on? What recharges your own personal batteries. "It's just about re-shifting your mindset around the practice," she says. "Kind of like drinking a glass of water every morning—which you should totally be doing if you don't already." 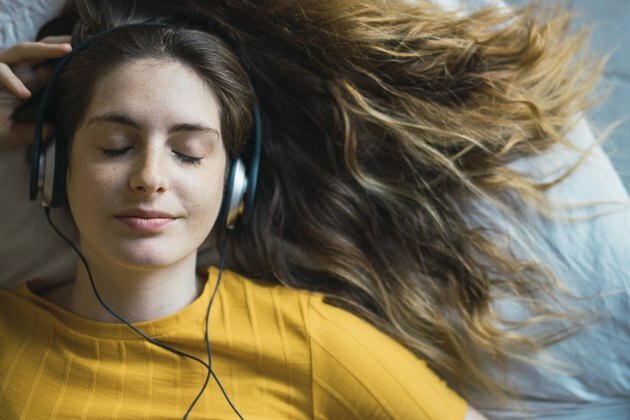 To help get you start thinking about how to incorporate self-care rituals into your own life, we asked Ramirez-Fulton to share four relaxation-boosting ideas. Yes, baths can still be part of your personal self-care picture if they feel right to you. But if you're not one for a soak, Ramirez-Fulton recommends taking a couple minutes for yourself in the shower. "I don't always do baths but I always do a one- to two-minute meditation while I'm showering," she says. Close your eyes, breathe in the steam, and focus on your breath. Bingo: You're meditating. "Don't tell yourself it's a to-do list item, tell yourself it's a habit, it's a part of life," Ramirez-Fulton adds. "A one-minute flow is literally all you need to invigorate your body," Ramirez-Fulton says. As soon as you get up, and before you check the news or your emails, do a full-body stretch to energize yourself for the rest of the day. Take it from Ramirez-Fulton: It doesn't take a ton of time to notice a real difference in how you feel. "If I had to advise people on a way to take better care of themselves, it's to find a five- to 10-minute daily routine that puts themselves first and sets the tone for a good day ahead," she says. No, this doesn't mean you need to buy a massive collection of fancy products. 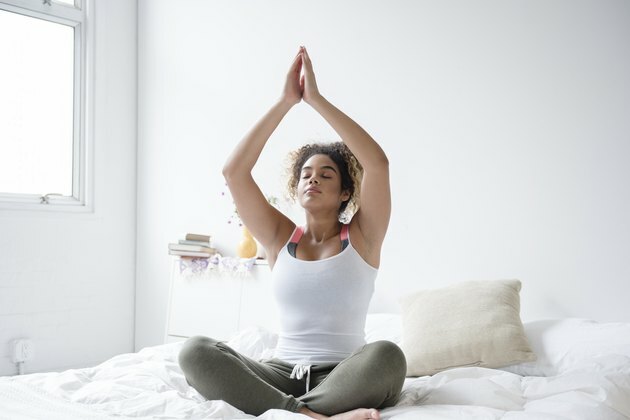 It just means you should take some time to cultivate your own downsized ritual for the morning and before bed—as simply or elaborately as you want. 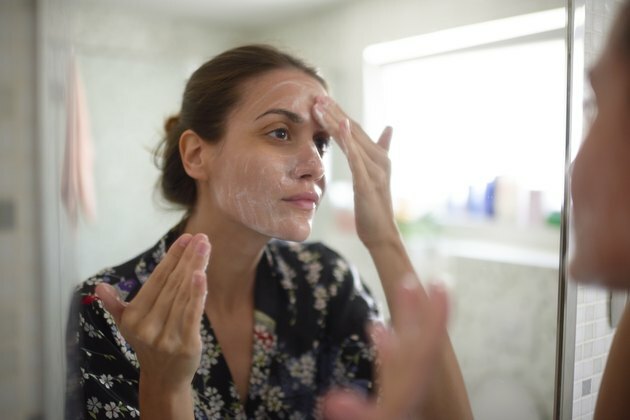 "I'm a big skin-care junkie—it's my daily routine that never skips a beat," Ramirez-Fulton says, noting that sometimes she takes the relaxation even further. "To offset some of those crazier weeks, I schedule in a few non-negotiable moments of self care, like a mani or massage at Chillhouse or a visit to my mom for a facial." The same goes for you. If you're feeling more overwhelmed than usual, give yourself permission to go big. According to Ramirez-Fulton, the last step of getting into your personal care groove is to get out of your own head—and gain some perspective. "Put your phone away and read a magazine or a book. Get lost in inspiration," advises Ramirez-Fulton. Put reality on pause for a minute (emails can always wait) and devote a few minutes to whatever feels most soul-recharging to you. "There's no right or wrong way [to do self care], but it has to happen," she says. "How can people expect you to show up for them if you can't even show up for yourself first?"